Company Overview - Qingdao Xinghe Graphite Co., Ltd.
11YRSQingdao Xinghe Graphite Co., Ltd.
Qingdao Xinghe Graphite Co., Ltd is a comprehensive enterprise integrating the development, production, and processing of natural flake graphite. Our company is located in east of Shandong Peninsula in Shandong Province, with beautiful scenery and delightful weather. Our factory is located in Pingdu City, a world famous "Graphite Town", so our products have superior quality and convenient transportation. 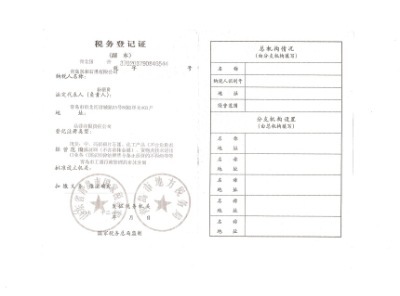 Meanwhile, our company has been the Chinese Graphite Profession Association member for many years as a mining industry unit producing each kind of natural graphite, especially natural flake graphite. As we have many years' experience of graphite research, we enjoy a high well-known reputation and good prestige in the graphite field. There are a marketing company named Qingdao Xinghe Graphite Co., Ltd and three finishing factories. Since established in 1996, we have insisted on the management principle of "quality first and customer supreme", and we always offer customers the most rigorous test and quality control for customers. At present, our factory covers a land area of 80,000 square meters with 218 staff members, among whom 6 are engineers and 8 are technicians. Now, we can produce more than 500 series graphite, such as medium carbon graphite, high carbon graphite, micro powder graphite and expandable graphite. Besides, our annual output is more than 20,000 tons and our output amounts achieve 120,000,000 Yuan. Our products are now selling to more than 1,000 companies in domestic 31 provinces, cities and municipalities, and also sell well in distant markets such as the USA, South Korea, India, and other more than 20 countries and regions, covering such industries as steel and iron, retardant materials, metallurgy and so on. Concomitance with the rapid development of science and technology, carbon product's quickly development day by day in the domestic and foreign market bring a broader expansion for our company's long-term development. Our company depends on rich local graphite mineral resource to develop unceasingly. At last, we will develop into one of the Chinese biggest natural flake graphite bases step by step. Our General Manager: Mr. Yang, together with all staff members in our company hopes strongly to receive your inquiries. We welcome all friends who come from domestic and international markets to our company for business negotiation. We are strict with the quality of products just as usual and offer you enthusiastic service and superior quality products!